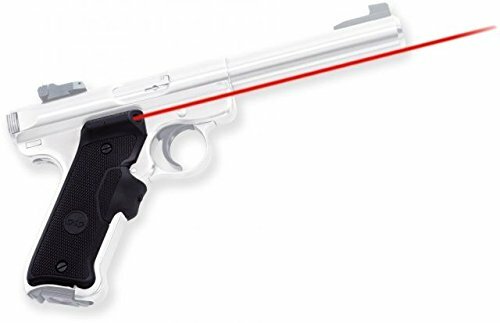 LG-403 laser sights feature an Instinctive Activation front strap switch for the Ruger Mark II and Mark III pistols. Rugged hard polymer side panels are fused with a durable rubber activation strap for excellent ergonomics with supreme durability. Whether you use your Ruger for plinking, hunting or professional purposes, LG-403 Lasergrips provides a higher level of accuracy and faster target acquisition. Will not hinder fit on most holsters.